5 no-fail strategies for pimple prevention reduce the probability of pimple occurrence to almost zero. It must be used minimum once in a week. The ingredients used in the various packs refreshes and nourishes the skin well that pimples hardly pop out on the face. Pimples are the regular facial tribulation as soon as an individual steps the adolescence age of tender 13. It is kind of natural to get the pimples during these growing years. However, there is no age limit as when the probability of pimple occurrence shall come to an end. Therefore it is best to use 5 no-fail strategies for pimple prevention that would restrict it to crop up on the face. The lemon juice and groundnut oil paste is the finest remedy for pimple prevention. To use it mix together 1 teaspoon each of lemon juice and groundnut oil. 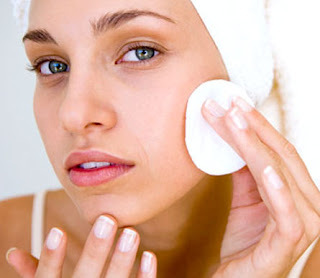 Apply it on the face well cleaned either with cleansing milk or face wash. Leave it for 15 minutes. Later wash it off with water. It must be used twice in a week to keep the skin free of pimples forever. Use the cucumber mask to shun away the probability of pimple face. Take half cucumber and cut into small pieces. Now put all the pieces in the mixer and grind into paste without using any water. To this paste add ½ teaspoon milk powder. Mix it well and apply on the face. Keep it for 20 minutes. Later clean the face with water. To get the desired result apply the cucumber pack once in a week. This fruit is the boon for the skin. Apply it on the face every alternate day to keep the healthy skin, glowing skin and pimple free skin . Take a ripe papaya, scrape the pulp and smash it with fork to make paste. Put the paste on the face and hold it as it is for 20 minutes. Then after clean the face with lukewarm water. Dirt is also one of the reasons due to which pimple crop up. Thus, it is essential to keep the face squeaky clean. To do so clean the face with water having few drops of fresh lemon and rose water. This shall not only keep the facial skin clean but also relieve all the stress making the face look fresh. It must be done 4-5 times in a day. If this regularity is maintained then never a pimple can find its place on the face. It helps in maintaining the skin fresh and pimple free. Take one tablespoon pomegranate skin powder and mix it with one teaspoon each of lemon juice and rose water. Blend it well to make paste. Add water as required. Apply it on the face. After 15 minutes wash face with water. It should be used once in 7 days. To make the powder, remove all the pomegranate seeds and wash its skin in running water. Put the pomegranate peel in the sun for drying. Once it is fully dried up roast the peel and powder it. Store the powder in jar and use as needed. Prevention is better than Cure” then why not use it for pimple prevention too. Make use of these 5 no-fail strategies to prevent the pimple occurrence and look beautiful always!